Lately, Microsoft launched its new Windows 10S, which is specifically designed for education and Chromebooks Chrome OS. These laptops are configured to save files to students OneDrive account, making it easy for them to pick up from where they left off. It does have the features of Windows 10, but there are some changes to the windows 10S, which is it can only work with windows store app. Although, Microsoft will need apps such as ITunes, Chrome and Photoshop to make this new Windows more accessible for most people. But if someone does not need these apps then, the new windows isn’t necessary for them to install. The Microsoft Windows 10S, is built on the same core as the Windows 10, but it is more lightweight, runs on lesser hardware configurations which allows both the purchases of very cheap PCs. 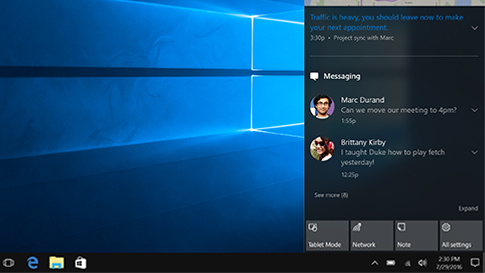 Windows 10S is designed for PCS, though it can be switched into a tablet mode. The company claims that the security and performance will be much more improved with Windows 10S. As the latest windows is for educational use, so it will have better login process. Besides this if someone does not have the new windows or desktops app that aren’t in the Windows Store, then Microsoft has a fix for Windows 10S, for $49 it can be upgraded to Windows 10 Pro. Microsoft has developed the new Windows very strategically, it has boosted Microsoft’s control over the Windows ecosystem and even the revenue. It might even make companies like Google, to get apps into the Windows app store. The Microsoft 10S will arrive in summer, with the Surface Laptop, which will hit the market on June 15.